All credits to K5M for giving base template. 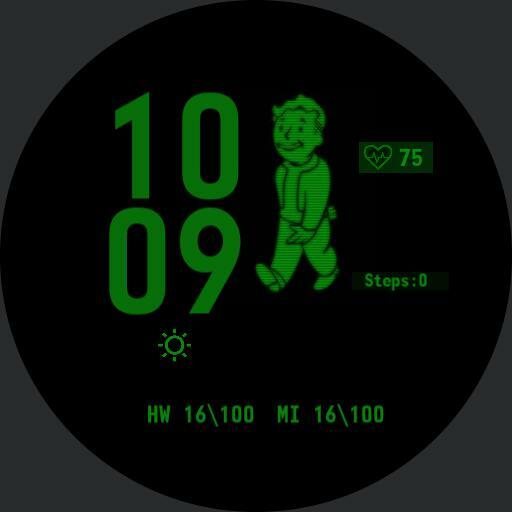 This is an amazing pipboy Fallout Series themed watchface made by K5M with materials from auther Ione_poni. -Changed from 12h-24h change back by editing in "Hour Counter"
Modded for maximum battery life with a premium watchface.